Alright friends, it's been a while since I've done one of these. 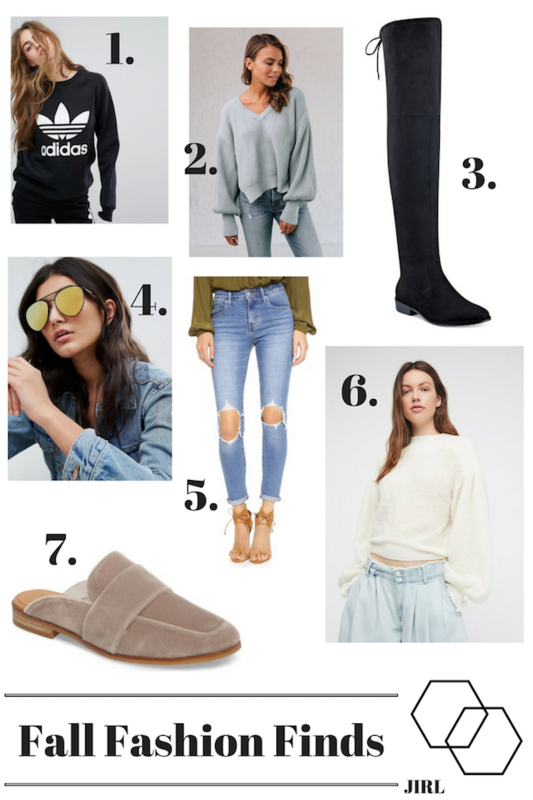 I'm sharing some of my fall fashion finds, AKA things I've purchased recently! I love all of these pieces & I'm excited to share them with you! Gearing up for fall is my very favorite time and also when I spend a bigger portion of my clothing budget for the year! Sweaters, boots, layering pieces, and anything cozy adds up, so I have to be extra picky & find the things that I really super love. I'm obviously down with the puffy sleeve sweaters, I think they are SUCH a fun twist on a regular sweater! And so much more versatile since they can be dressed up more. And if I had to pick my very favorite item from this round up, it would for sure be the Free People velvet loafers. I seriously wear these babies everywhere and they are the coziest, cutest things. I get compliments on them regularly! Let me know what your favorite fall pieces are!